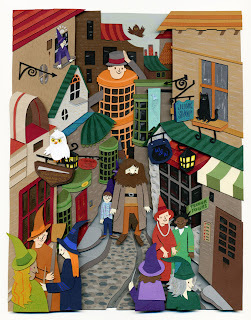 Here is a commission I did for a friend of Diagon Alley. head but it's actually super fun once I start doing it. This was so fun it makes me want to do more Harry Potter.